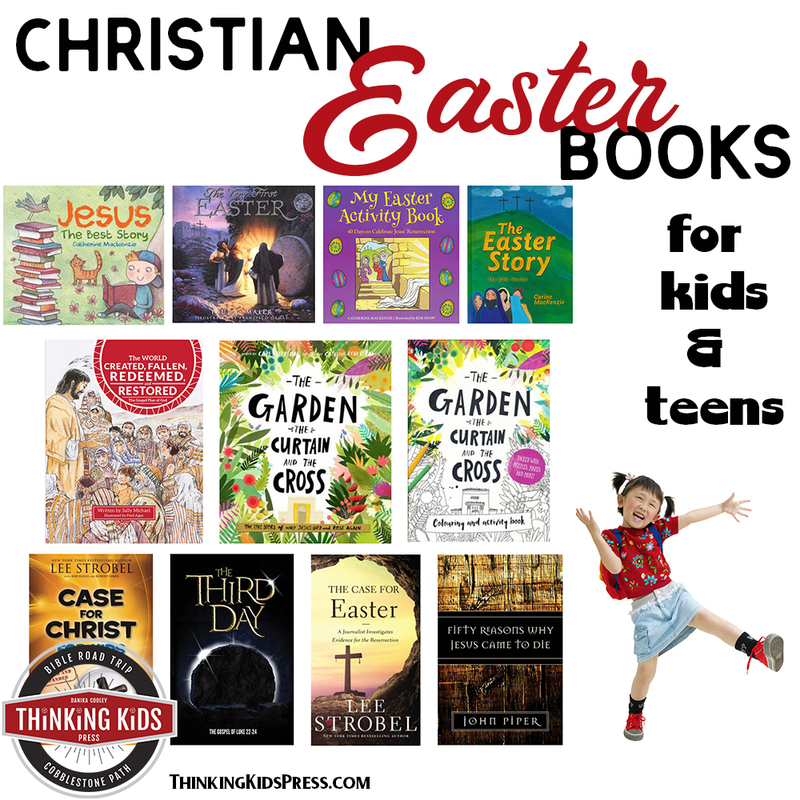 Check out 15 Easter treats for kids that they’ll love, and that honor Jesus as the reason we celebrate Resurrection Sunday! We’ve always enjoyed food treats in our family. The kids have fun making them, eating them, and talking about their creations. In fact, when they were younger, we often had parties that involved assembling and decorating food treats. We’d invite as many friends as we could, 15-20 would show up, and I’d have stations set up for each child with little cups of supplies. It was so much fun, and really built community! 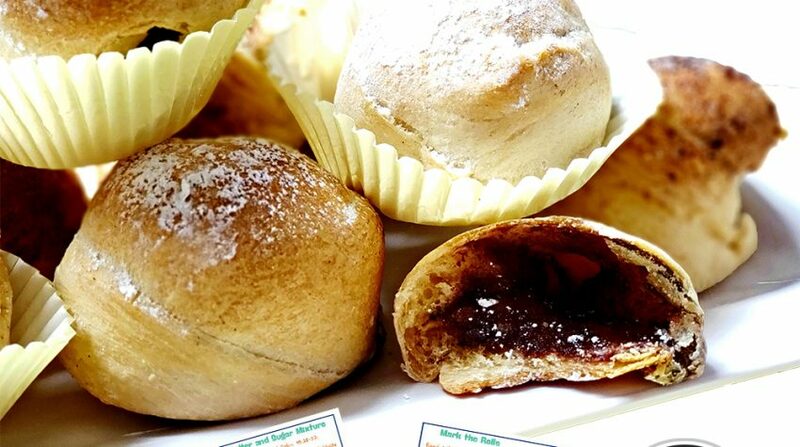 Food treats are also a great way to introduce Bible object lessons. 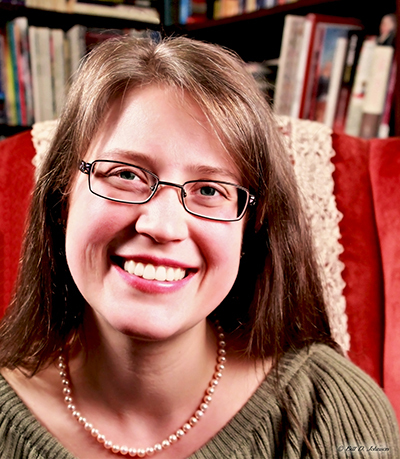 They’re a hands-on way for kids to explore and discuss things they’re learning in the Bible. For Resurrection Sunday, I put together several super cute Easter treats for kids, along with printables to go with them. 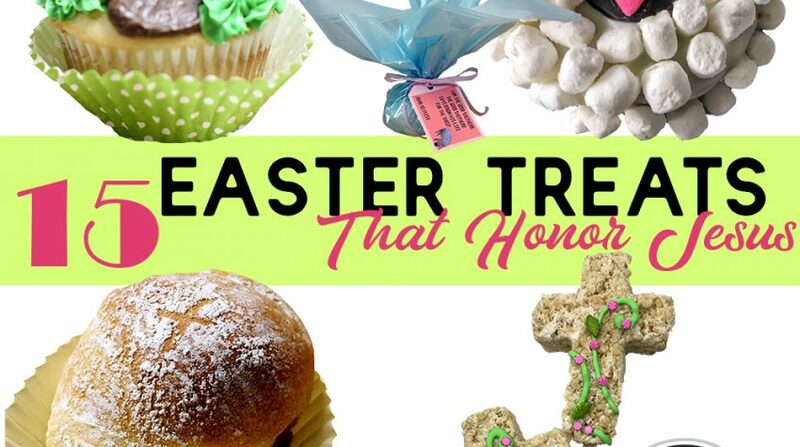 I also found some great ideas for Jesus-honoring Easter snacks that you might want to take a look at. Let’s get to those Easter treats! 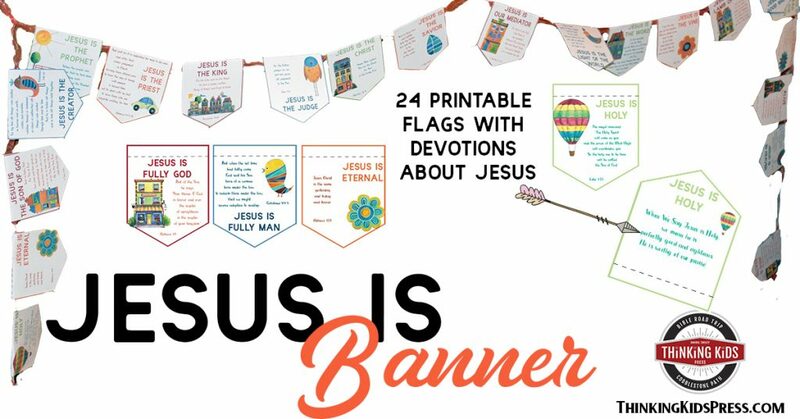 Teach your kids who Jesus is with 24 devotions about Jesus in a fun printable banner! Stained Glass Cross Cookies – These beautiful cookies will be fun for your kids to make and eat! Cross Cupcakes – These are so cute, and just the right size for little people to make and eat! Rice Crispy Tomb Scene – If you think your kids might like to spend an afternoon making the Resurrection scene out of candy, this looks like fun! 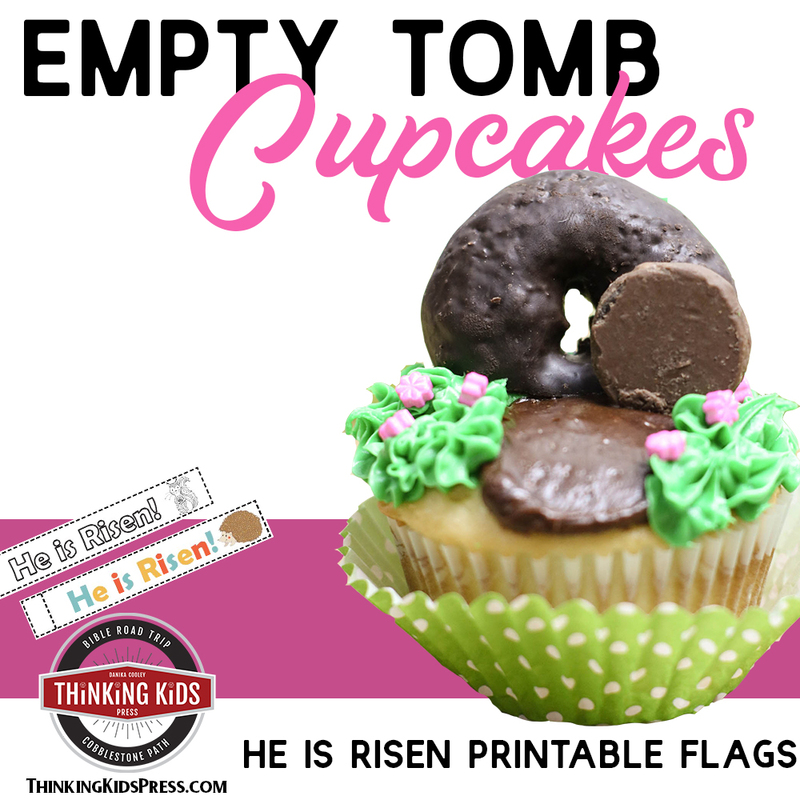 Tomb Cake – For a fairly easy cake project, try this cake showing the empty tomb. Hidden Cross Cake – OR, if you have a budding baker looking for a challenge, this hidden cross cake is really amazing. Crown of Thorns Snack – This savory snack is a good way to discuss what Jesus went through before the crucifixion. Rice Crispy Tomb – Are you going to a Resurrection party? Instead of a cake, try making this scene to take along. Dipped Pretzel Crosses – There are three Easter snacks in this post, but I especially like the pretzel crosses planted in the jelly bean bowl. 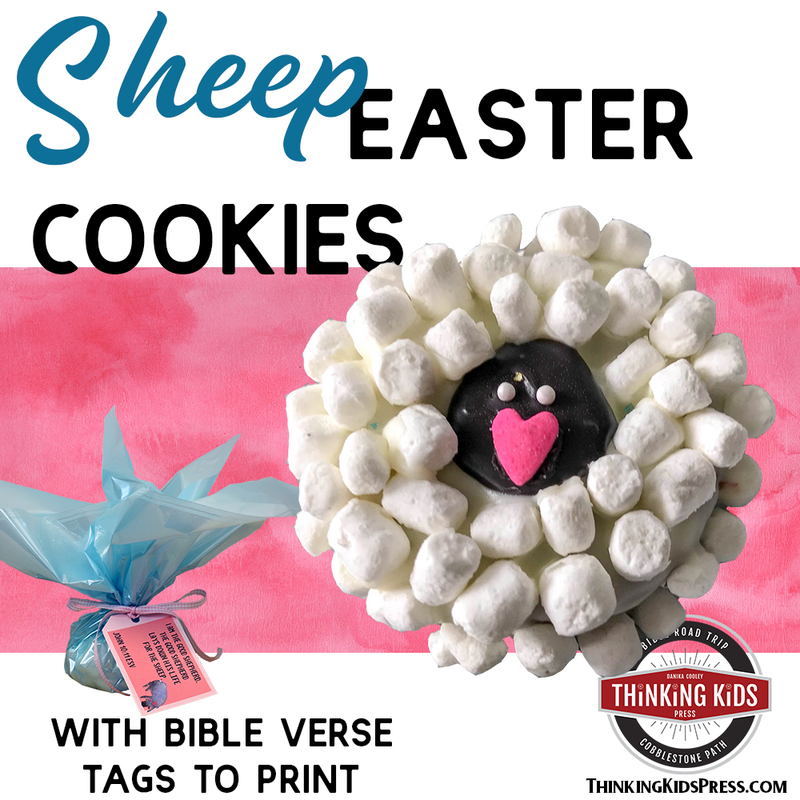 Resurrection Cookies – These are another fun take on the empty tomb snack idea. Fluffy Hot Cross Buns – Looking for an Easter treat with a little less sugar? These would be perfect for Resurrection Sunday morning! Pineapple Empty Tomb – Here’s another fun addition to your Resurrection Sunday breakfast.